I LOVE cooking from scratch, which means I spend a lot of me evenings in the kitchen. My kitchen, unsurprisingly, is part of an actual house, which is on one of the main roads in Birmingham. I live near the park and access to the town centre is easy – it's a decent location. As mentioned before, I live in Birmingham, which is in the top 10 of the worst UK cities for recycling, Since taking on the zero waste lifestyle, I've learnt to focus on what I can do to improve this, rather than blaming waste produced on the city I live in. 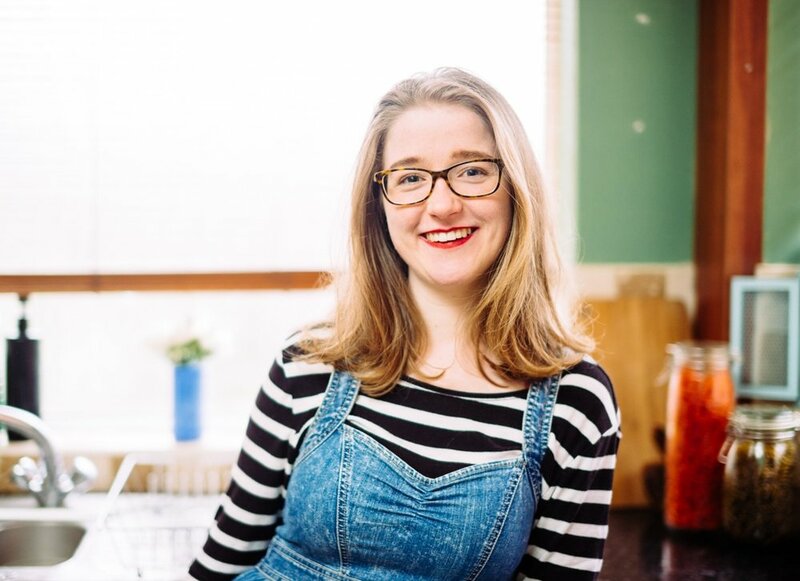 So, how has my kitchen changed, since I adopted the zero waste lifestyle? Luckily, my rented property has a compost heap. In true zero waste style, we didn’t buy a caddie for this, we just switch between containers with lids and put the contents into the compost bin as necessary. 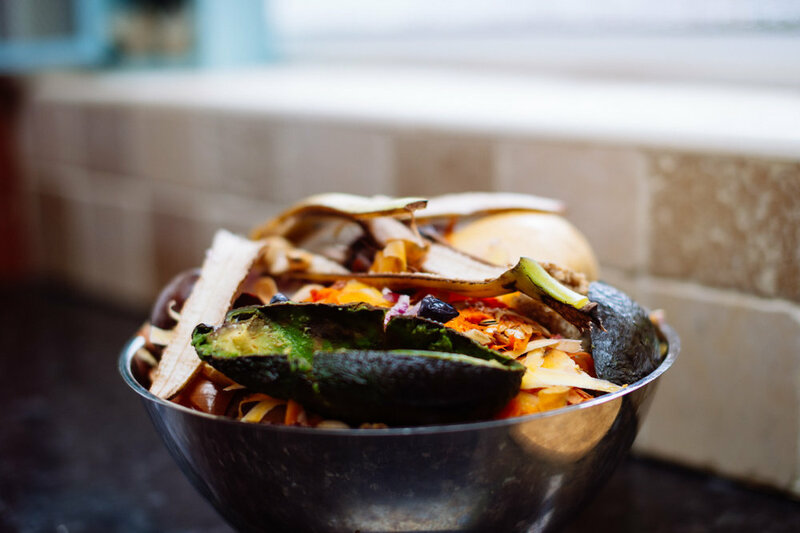 Before I was living with my partner, I'd freeze the compost in a designated bowl as I was worried about it getting in my previous housemate's way – this meant it didn’t smell and wasn’t visible on the counter like it now is. Freezing compost is a good way to get around the issue of not having a compost heap in your garden. The frozen compost can be put into a wipe clean bag and taken to a market, community centre or allotment and put onto their compost heap (just ask first!). Another option for composting when you don’t have the proper bin is to blend it. Sounds weird, I know, but this makes it into a state which you can put straight onto your garden plants or flowers, without having obvious vegetable peelings showing. Working on reducing food waste in general is a great way to have less compost to deal with in the first place. I saved up and asked for cash for my birthday last year. I purchased a Thermomix last summer and it's wonderful. 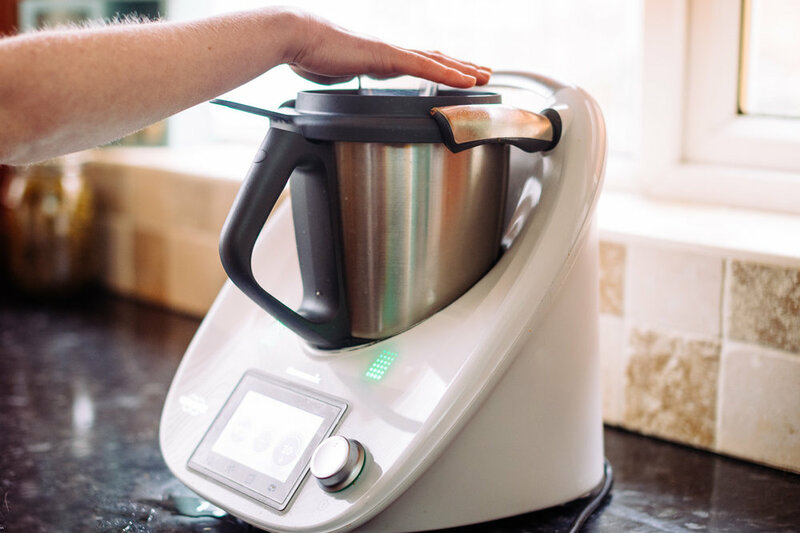 I never want people to feel like we are influencing them into purchasing products in order to live the zero waste life, but if you can afford to, and would like to, I personally think the Thermomix is a very worthwhile purchase. Why? Because I can grind spices, coffee beans and grains to powders. I can make jams, peanut butter and tomato ketchup. I can chop onions, grated carrots or make vegetable stock. I can prep bread, cakes and other bakes, whilst being certain what I make is gluten and dairy free. I can cook a full, three-course meal, and the Thermomix will ensure the food is cooking at a regulated heat. This is all in one gadget which is easy to use and has a super long warranty. It may not work for your lifestyle, but for mine (I work full time, and run the blog in my spare time) this is a dream. I am certainly not saying you have to have one of these to be zero waste – I didn’t for the first seven months of my journey. Anna doesn’t have one and gets on just fine. If you think it could work for you, take a look at their website. I'm never too far from a Tupperware box. I usually have a couple in my bag, for my lunch and food waste, with multiple in my fridge and freezer. Without these, a zero waste life would be near impossible. I’ve inherited some from my Mum and Grandparents. 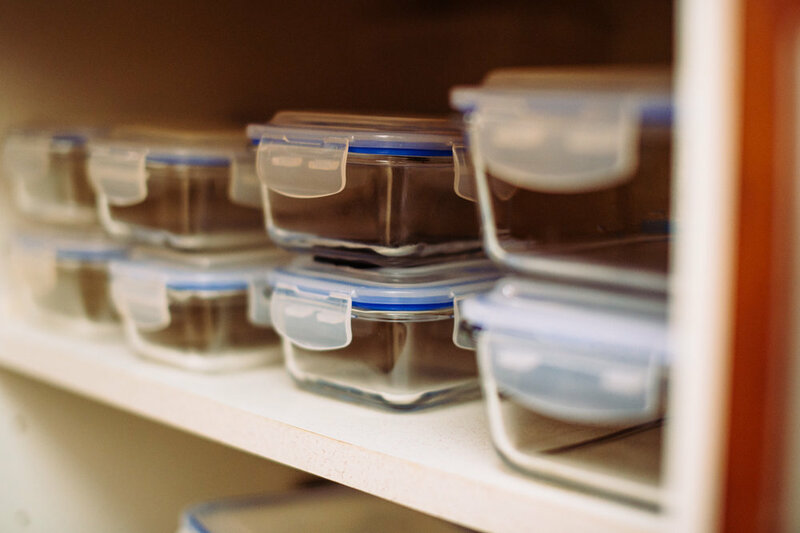 Before I fully committed to the zero waste lifestyle I purchased glass Tupperware. I'd recommend them to anyone as two years on they are still going strong (one did break but that's just because I’m clumsy). To keep down the waste I buy only what I need. I typically go to the markets twice a week. There's no packaging in my fridge, which means everything is as fresh as possible. I buy way more fresh fruits and veggies than I used to. I wash these and put them in the fridge with any cut foods put into boxes, along with soft fruits and vegetables like mushrooms. If I end up with more fruit and veg than I can eat before it goes off, I will freeze it. I also freeze meals including things like homemade beany burgers, so I can use these when I need a quick and simple dinner. 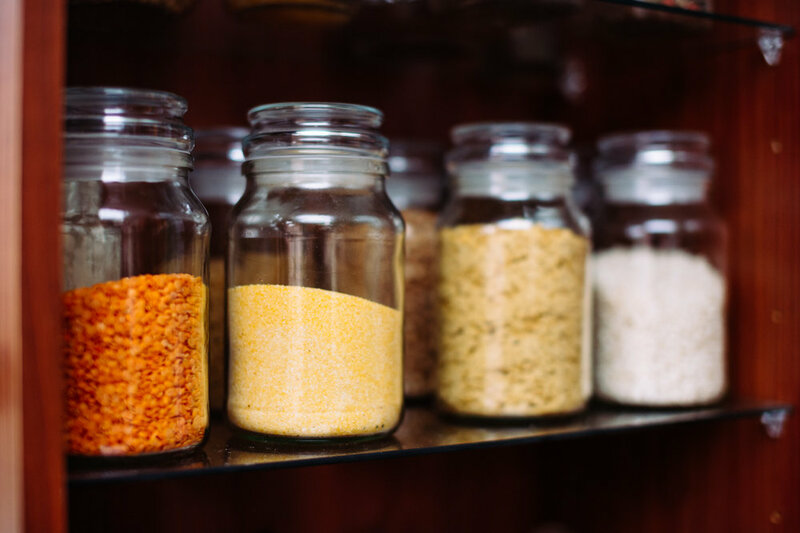 Nuts, seeds, flours, spices, lentils, rice and other dried goods are stored in old coffee jars. Bristol and London are the closest cities to me which have decent waste free shops where I can put the foods straight into the jars. I can buy certain things like nuts and seeds from The Nut Centre in the Bullring markets. If I've run out of some foods, I often have to buy them from supermarkets and select products in recyclable packaging. This will change when The Clean Kilo arrives, and I can get there in 15 minutes! I buy foods in glass jars and cans. I do still recycle. I know that this can be a wasteful process in terms of resources used during recycling, but I still choose to buy some of these items, often due to convenience. My dairy milk comes delivered to my door twice a week, which is ordered through Milk & More. I also make nut milks. Almond milk works really well, but you can use any nut you like or oats if you prefer. I'm a 'reducatarian' meaning I try and limit the amount of meat I eat each week. I have researched veganism a lot, and, call this an excuse if you wish, but I have intolerances which would make veganism difficult. It's therefore not the best decision for me right now. I know zero waste living would be easier without eating meat as the industry is awful at producing waste. However, when I buy these products, I try my best to limit the waste they are sold to me in. I take my own egg boxes back to be refilled with fresh eggs each week at the market. When I buy meats and cheeses I take a large Tupperware box, which they're placed straight into. I'd love to know about your kitchens? Do you have similar storage habits to me?